General Motors confirmed Sunday its plans to eliminate a shift at an Ohio plant, idling some 1,500 employees as demand for compact cars dips. 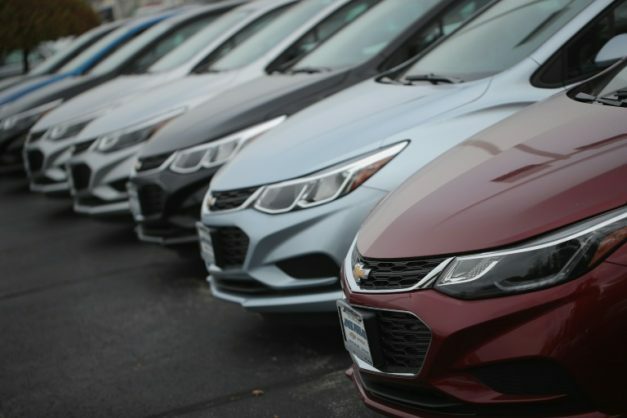 The downsizing of the workforce in Lordstown, Ohio — where GM produces the Chevrolet Cruze — was related to “historic” market changes that spelled lower demand for compact cars, a company spokeswoman told AFP. “As we look at the market for compact cars in 2018 and beyond, we believe a more stable operating approach to match market demand is a one-shift schedule,” said spokeswoman Dayna Hart, adding the second shift will be suspended toward the end of 2018’s second quarter. She emphasized the company did not plan to abandon the passenger car market completely. “The car market remains important to GM and Chevrolet since it represents 36 percent of industry retail sales. The small car segment also brings new and conquest customers to Chevrolet,” Hart said. The layoffs, which the automaker first announced Friday, appear to undercut the Trump administration’s promises to bring auto jobs back to the region, along with neighboring western Pennsylvania. But Hart said across the US industry, the small car market has been in steady decline since 2014, a trend driven by lower fuel prices and an improving economy. Last year, GM sold 150,000 Chevy Cruze cars in the US, all produced at Lordstown. Since the start of 2018, sales of the vehicle have dropped 28 percent, according to auto consultancy and data firm Autodata. Meanwhile, GM’s competitors, Ford and Fiat Chrysler, have also announced plans to cut back on passenger car production in the US. Ford is repurposing a plant in Wayne, Michigan to build trucks, and shifting car production to Mexico and China — while Fiat Chrysler has converted its plants near Detroit to produce pick-up trucks.